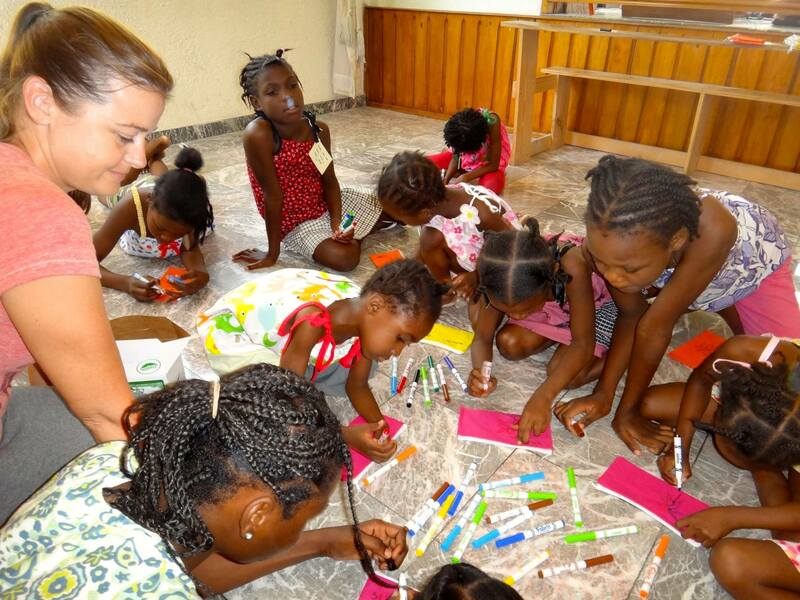 Be the Hope Haiti | Bringing hope to the children of Haiti. 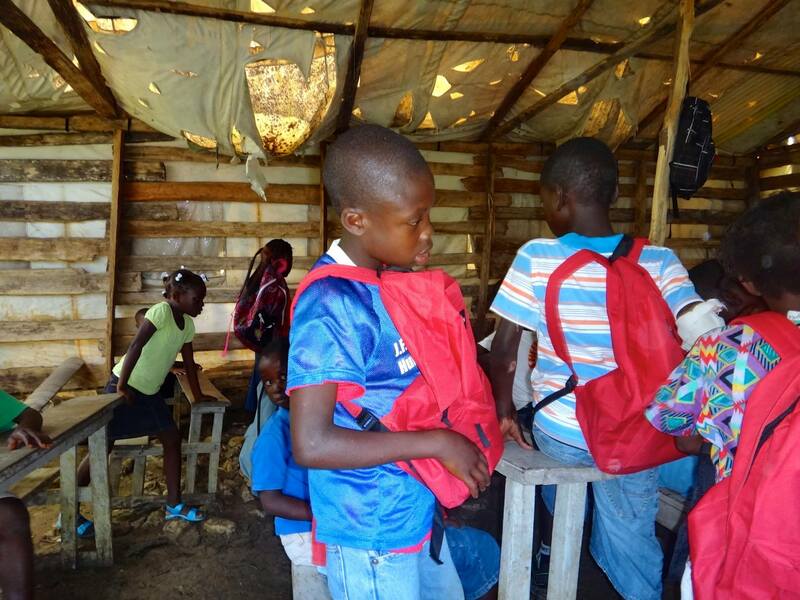 In addition to providing children in Haiti with backpacks and school supplies, we would also like to to implement a Community Outreach program for children in Port au Prince. A “test run” was done in September of 2013. 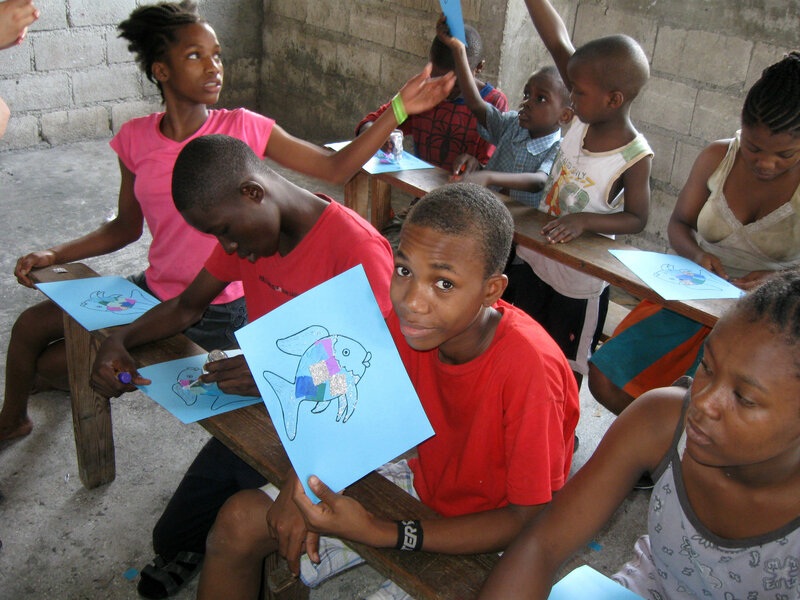 We brought the The Rainbow Fish to children in two orphanages in PaP that we worked with in May. 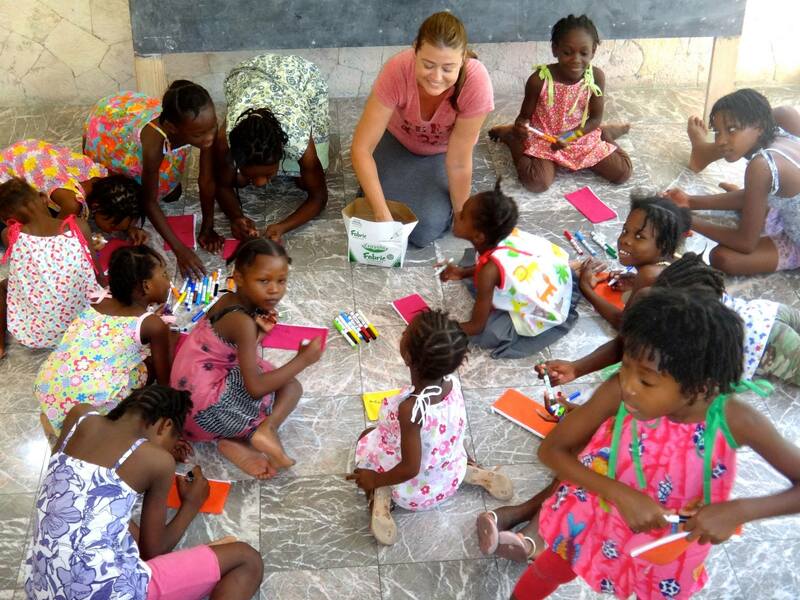 Thanks to a generous donation from one of the friends of Be The Hope: Haiti, we were inspired to do a story time/arts & crafts project with the children. 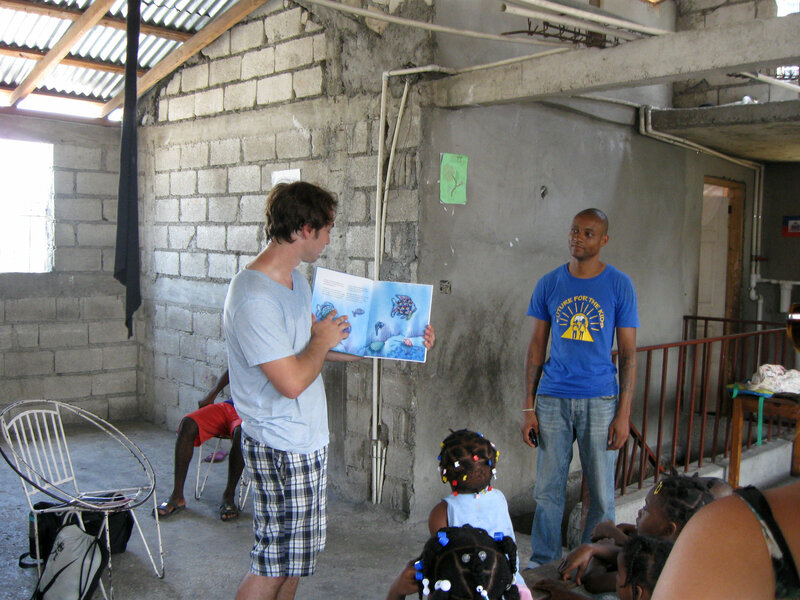 The book, which is in both English and French, was read by an awesome volunteer (Thanks again Brian!). The children were completely engaged with the story. 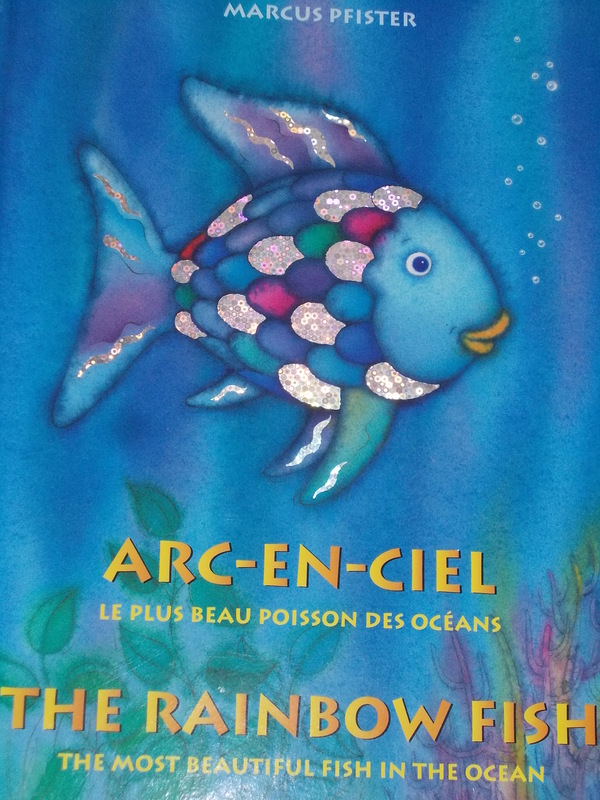 After the story, each child was given the opportunity to make their own Rainbow Fish using a fish template on card stock, tissue paper and special sparkly paper “scales”, glitter glue and markers. The children had a wonderful time and were very creative! 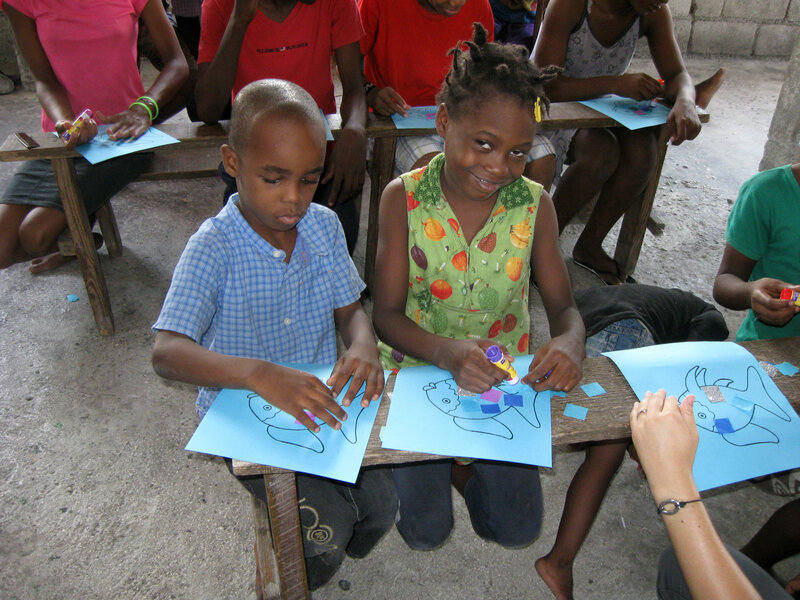 We hope to bring more of these projects to children, especially from Cite Soleil, in the coming months. 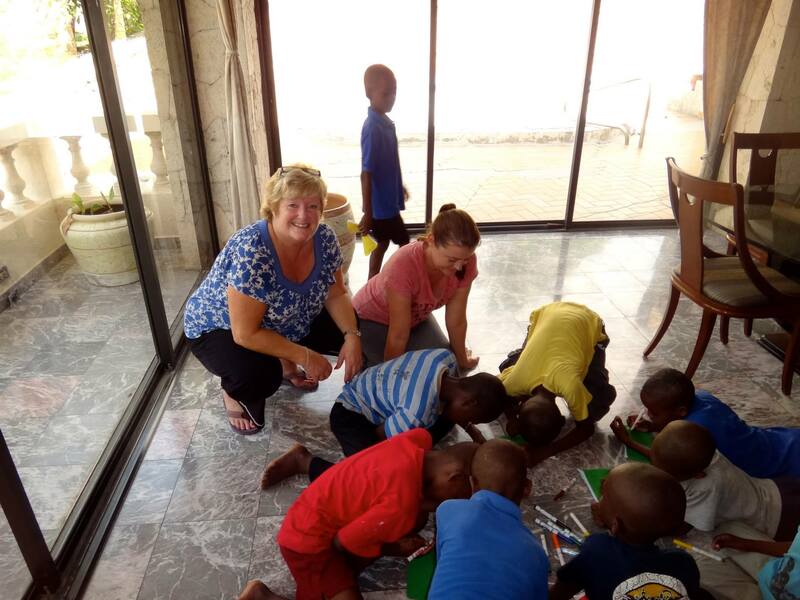 I went to a wonderful orphanage with my friend Sarah Griffith on Saturday. It was the most impressive orphanage I have experienced in Haiti. The children ran up to greet us, each saying bonjou and kissing us on the cheeks. They were clean, fully clothed, healthy, happy, well mannered and just a joy to be around. 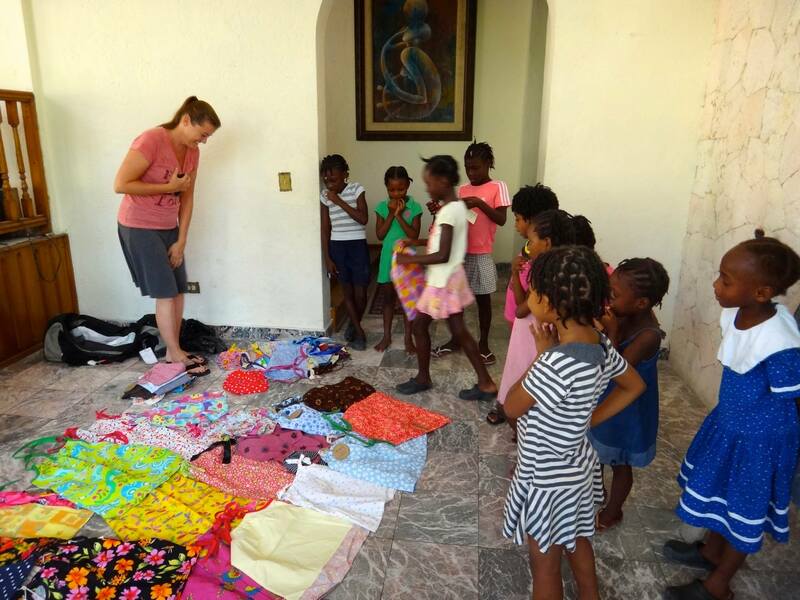 Sarah had brought a bunch of pillowcase dresses for the girls and they had a wonderful time taking turns to select their new outfits. There were enough for each girl to make 3 choices. Then, all of the children picked out a canvas pencil case that I had brought and they used fabric markers to personalize them. 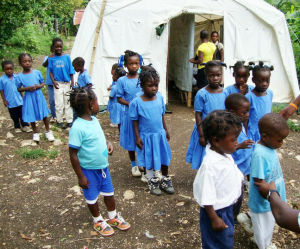 The children attend school at the orphanage. 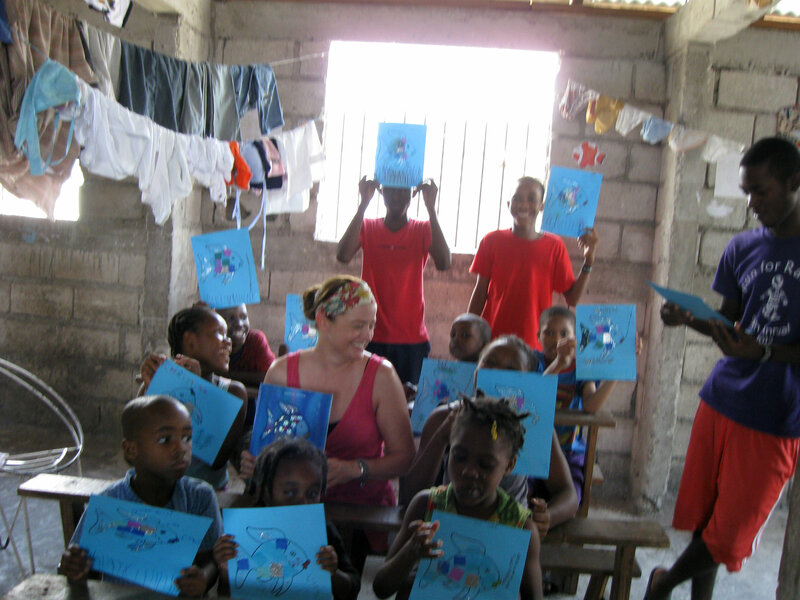 The director, Marie Yveline Adam, actually brings proper teachers in to teach the children! It was amazing. Lastly, Sarah brought a final surprise; a guitar, electronic keyboard and two drums! A jam session ensued with all of us, children and adults, complete with crazy singing, dancing and drumming. It was one of the highlights of my 3 weeks. All of the hard work and donations paid off yesterday! 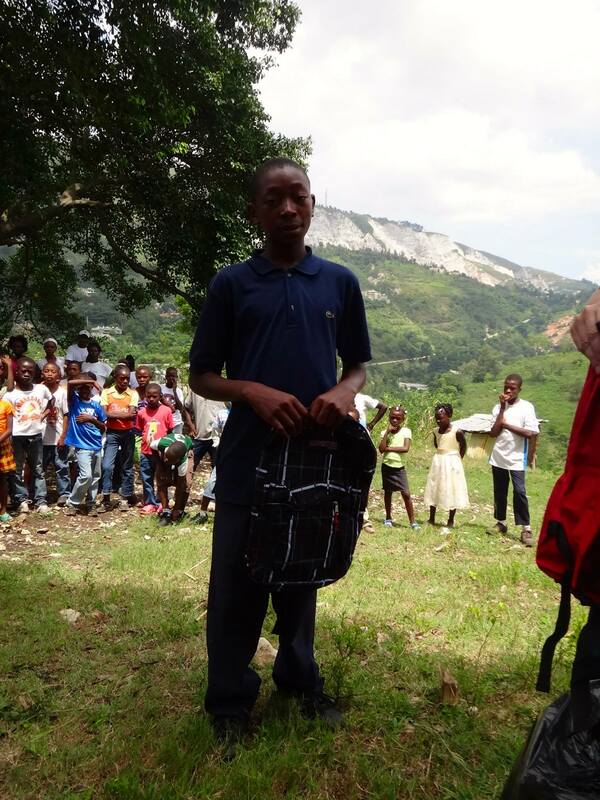 We headed up the mountain to Ecole Fessart to distribute over 110 backpacks with school supplies. The director of the school, Josue, went around to the community to make sure that all of the children registered for school would be there. It became quite a community event with an audience watching the distribution. 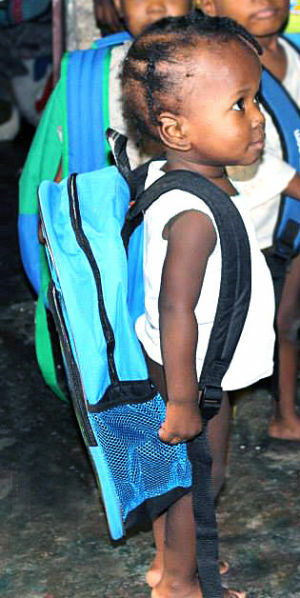 It was so wonderful to see this come to fruition and watch the children proudly wearing their new backpacks! 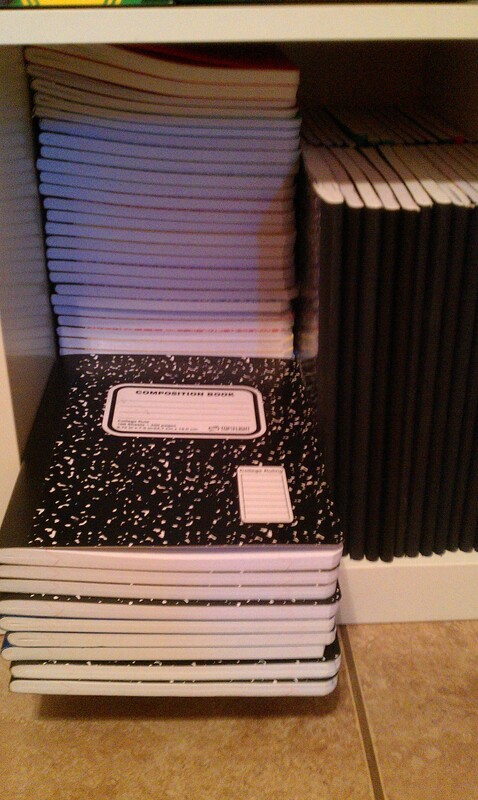 They are ready for school to start in 2 weeks. 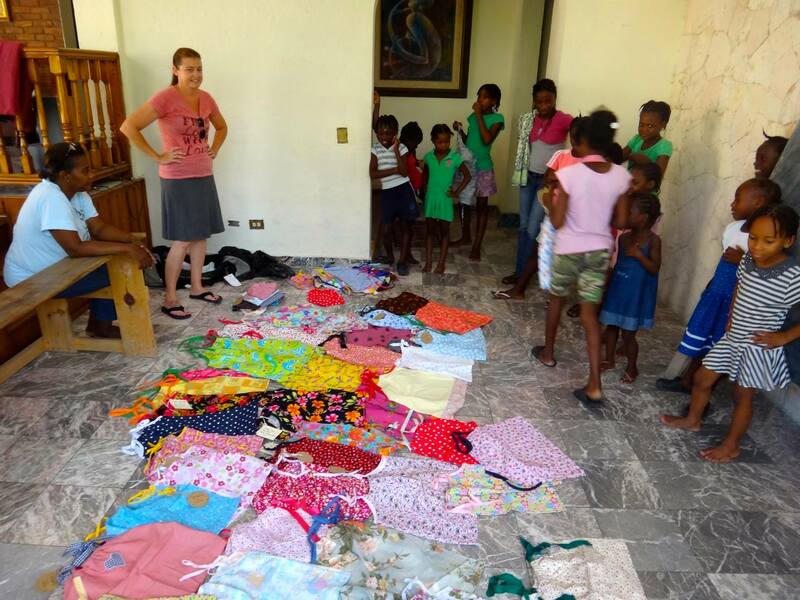 After the backpacks, we took some of the children into the tent to give them pillowcase dresses or shorts and socks thanks to Sarah Griffith. 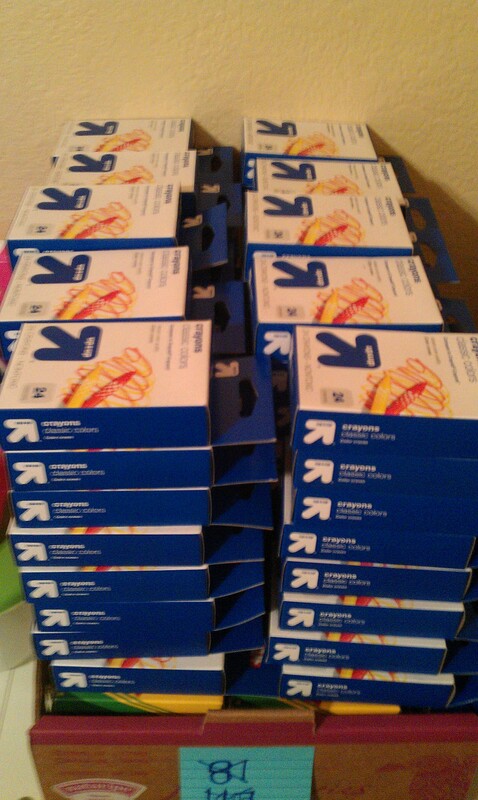 Then all of the children were given a treat of a pack of Oreos and juice. A meal of rice and beans was served to all of them after we left. Yesterday was a reminder of why I am here, to attempt to make the lives of children a little bit brighter. This was one of the best days of my trip so far. Thank you to everyone that helped make this possible! 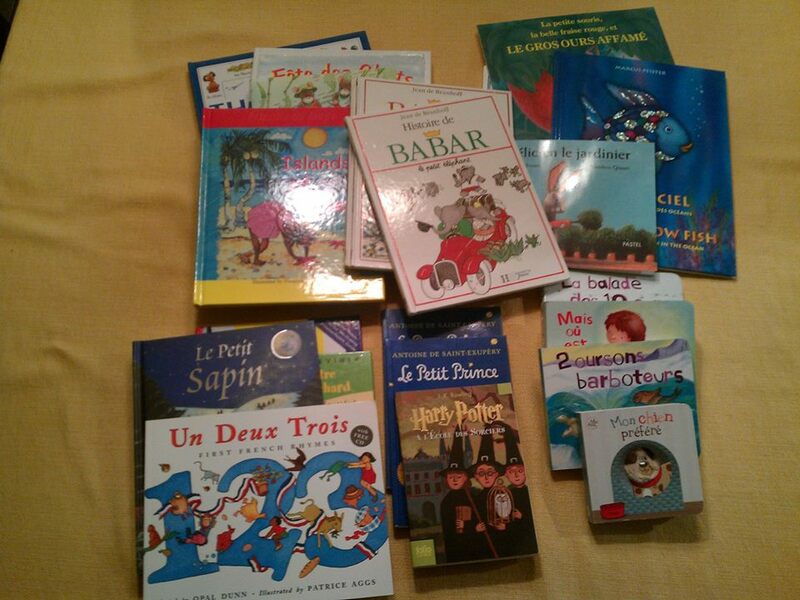 Urgent request to help Ecole Fessart! My friend recently received these pictures of the school that we are helping in September. 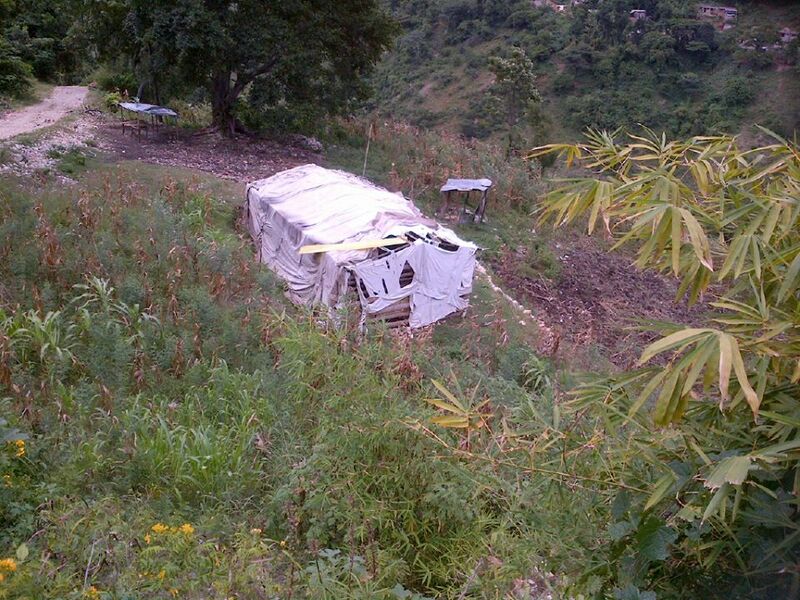 Not only is the tent that the school is held in in really bad shape, but the school benches have been stolen! Fortunately, the government changed the start date of school from September 2 to October 1, so there is a little more time to sort this out. 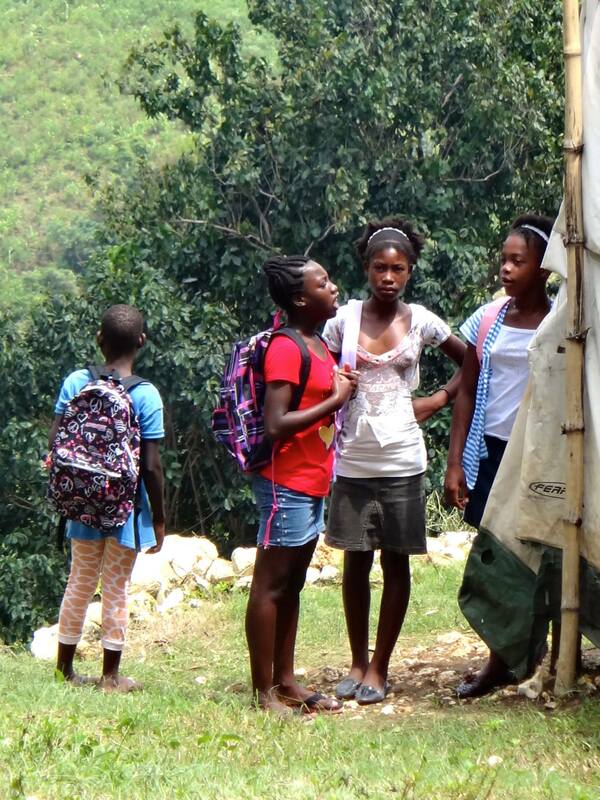 However, we leave for Haiti on Monday, Sept. 2. We can purchase new school benches for $10.00 a piece. We will have to figure out a way to secure them while we are there, but we’d like to try to raise some money before Monday to purchase the benches. Less Than 3 Weeks to Go! With less than 3 weeks to go, here is a little pictorial update on the progress being made. Thanks to incredible and generous donations of many people this little dream is going to be a reality! 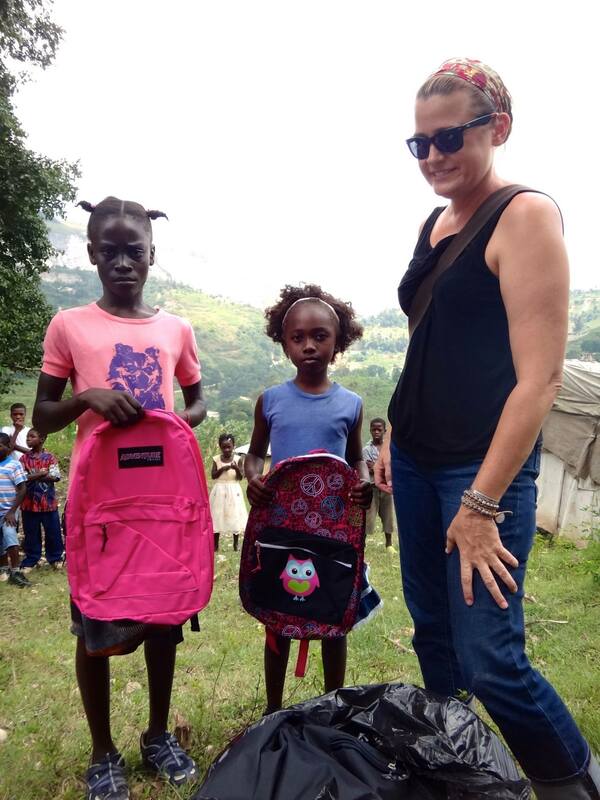 I am confident that not only will 120 very deserving Haitian children start the new school year off right with new backpacks and school supplies, but the school will also be set with art and craft supplies for a year of creative fun! Thank you, thank you, thank you to everyone for your continued support! Thank you to everyone for your continued support! 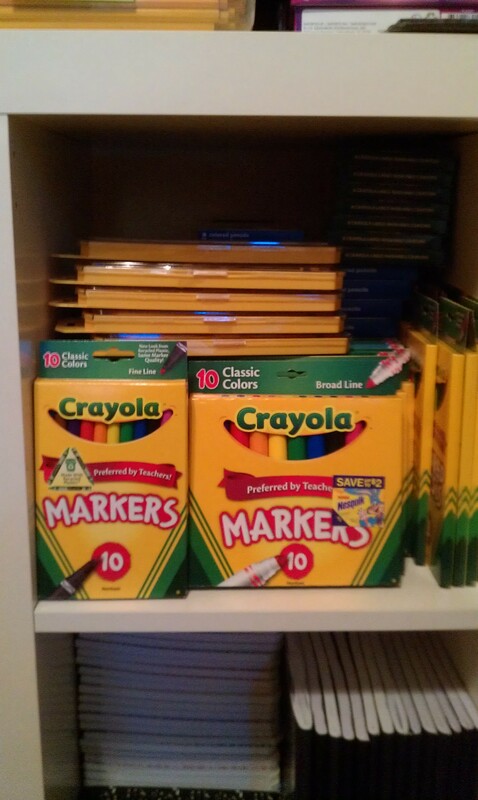 Backpacks and pencils and pens. Oh my! A little over a month to go and we’re going strong! 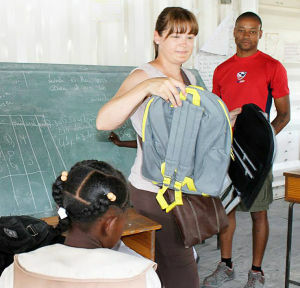 Our goal to bring 120 filled backpacks to Ecole Fessart looks like it is going to be a success! But, we still need your help! 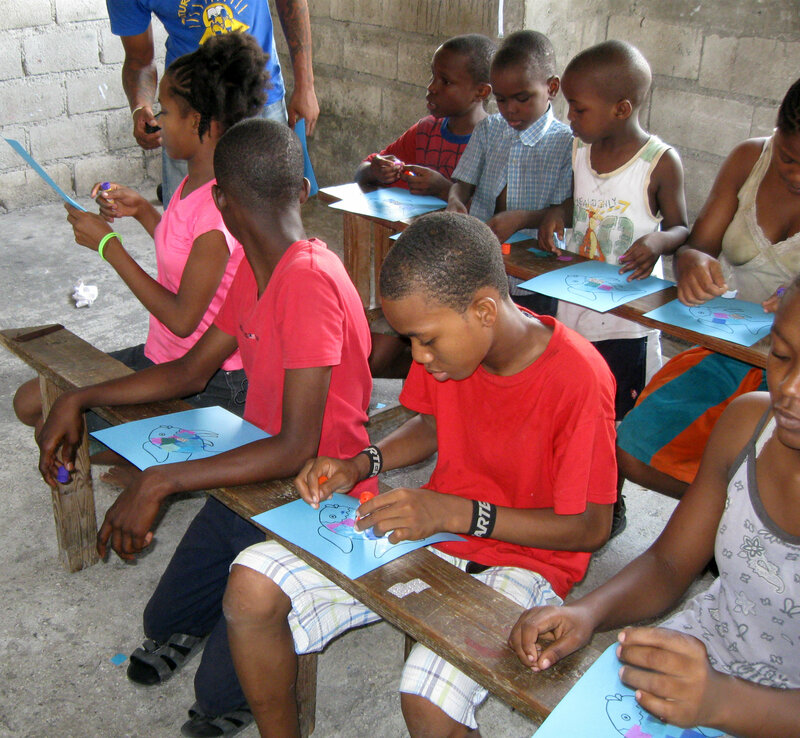 Feel free to contact us via Facebook or email: info@bethehopehaiti.org. 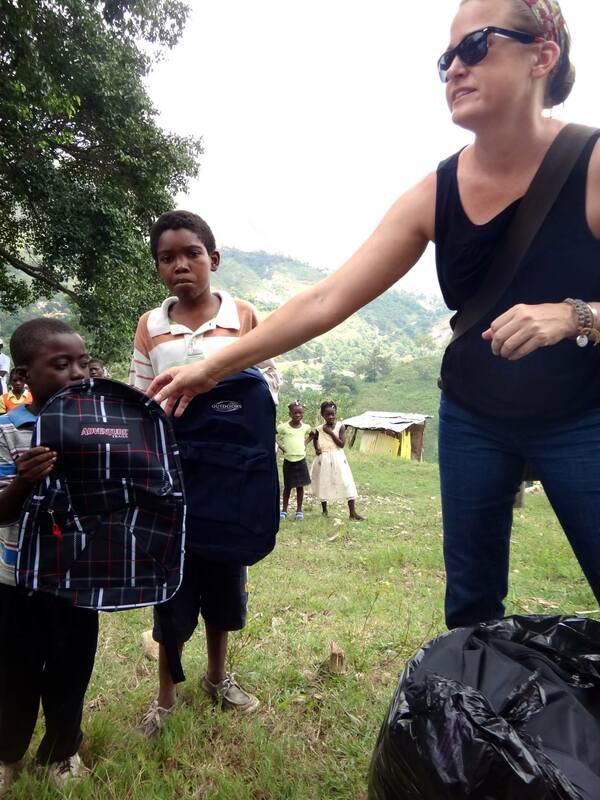 Heather Hinze, founder of a non-profit organization, Be The Hope, distributed backpacks filled with school supplies to students in a Haiti school. 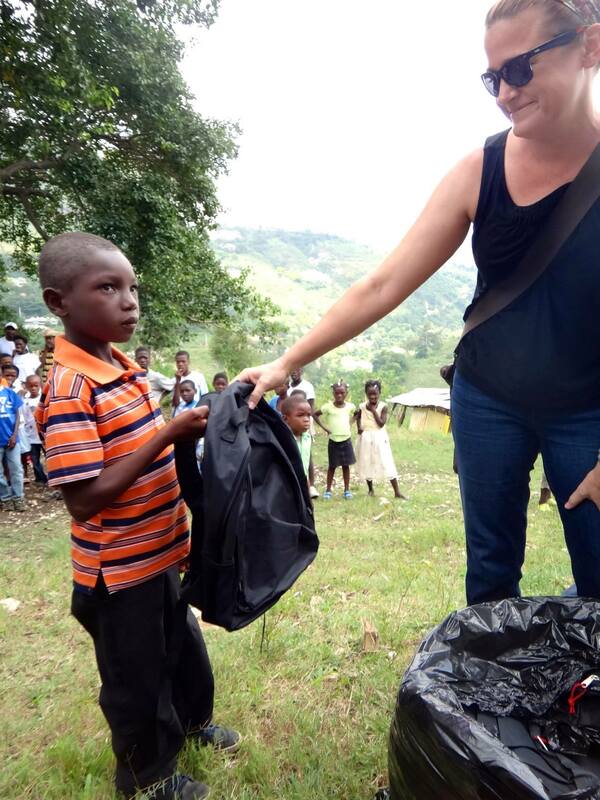 Heather Hinze expected to experience poverty and deplorable school conditions during her two-week May visit to post-earthquake Haiti. 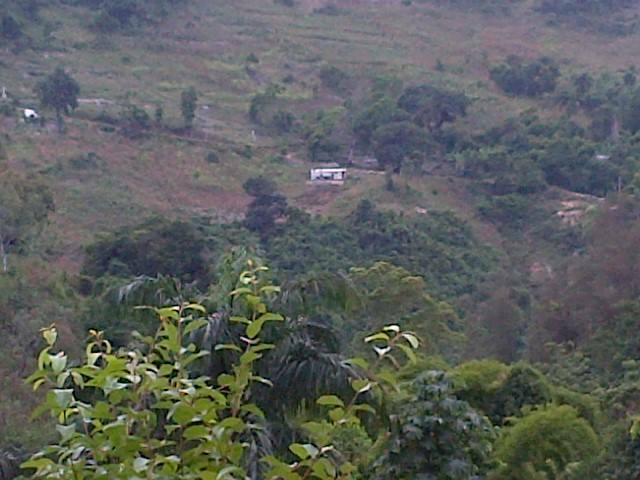 But the magnitude of the destitution created by a 7.0 earthquake in 2010 was greater than she imagined. The earthquake killed more than 300,000 people and left more than 1 million people homeless. 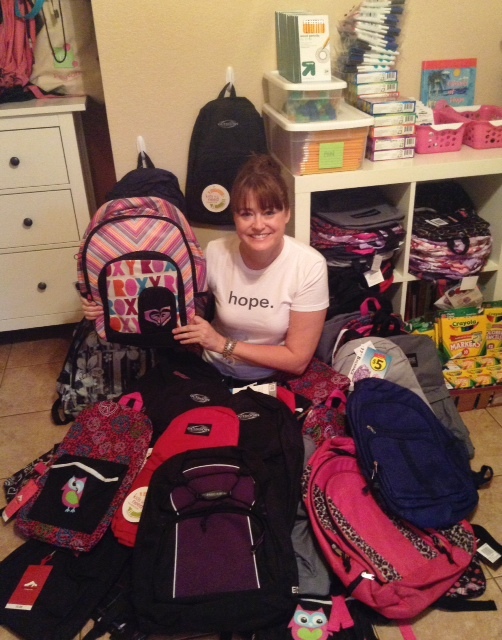 “Nothing prepares you for the poverty,” said Hinze, founder of Be The Hope. “It has taken me a lot of time to process it. 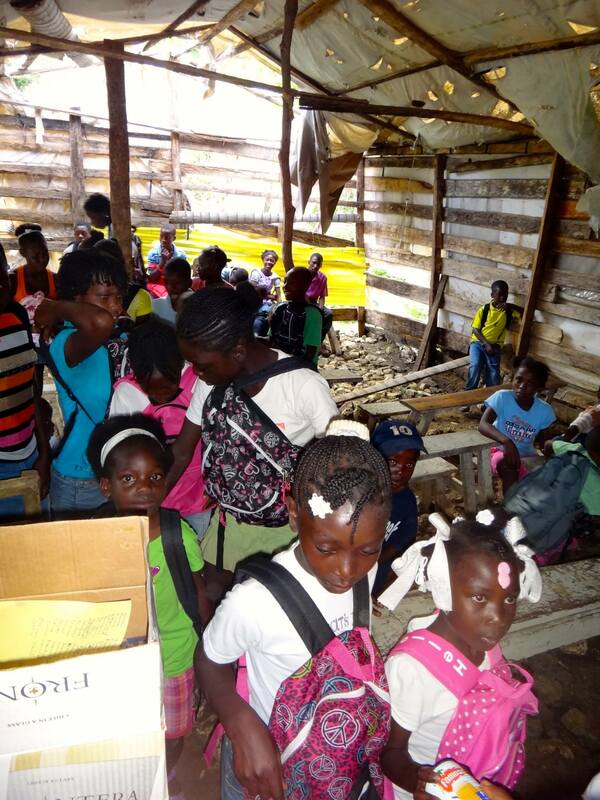 Hinze delivered 70 backpacks of school supplies to two orphanages, Mix Emmanuel Primary School and Frem Orphanage. She also brought half of the clothing and shoes she collected as well as bubbles, coloring books, baseball bats and balls. “My first trip was to get my feet wet and figure out what is going on,” said Hinze. She learned about a non-profit, Michigan-based organization that ships containers weekly to Haiti. Hinze can purchase space by the square foot to send donated clothing. 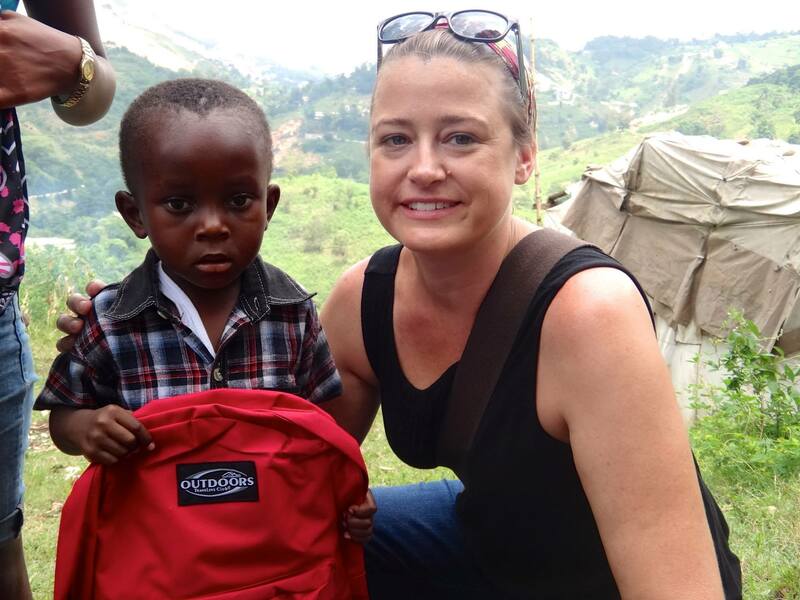 By providing children with school supplies, Hinze believes she can alleviate to some extent the financial strain on families to send children to school. 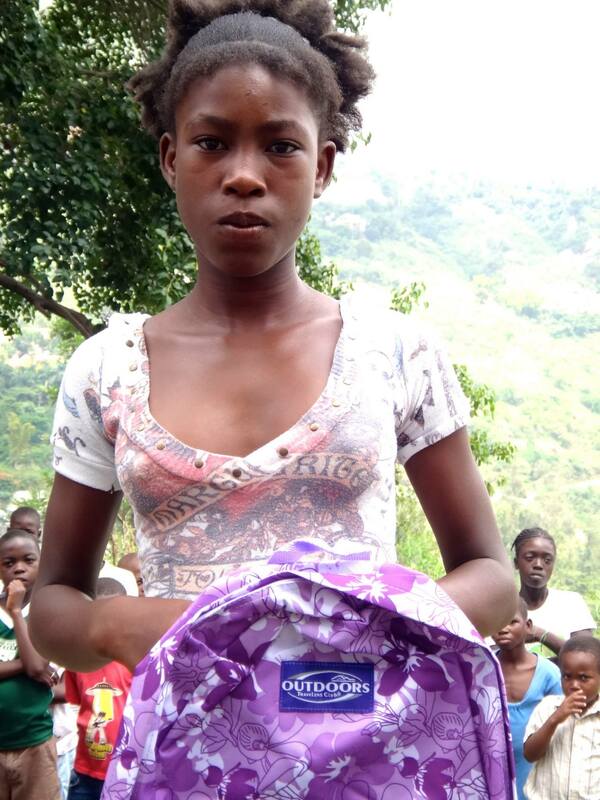 Her ultimate goal is education can help break the cycle of poverty existing in Haiti. 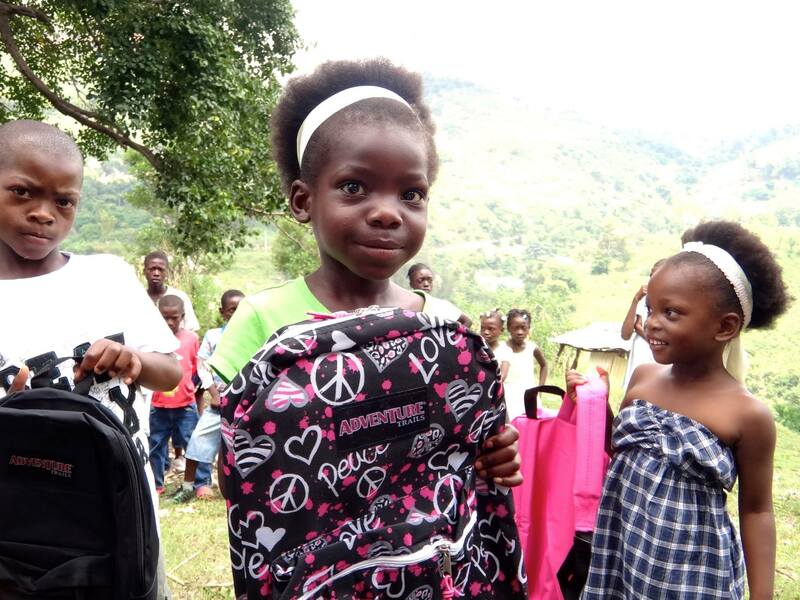 She already plans to return in mid-September with 120 backpacks. 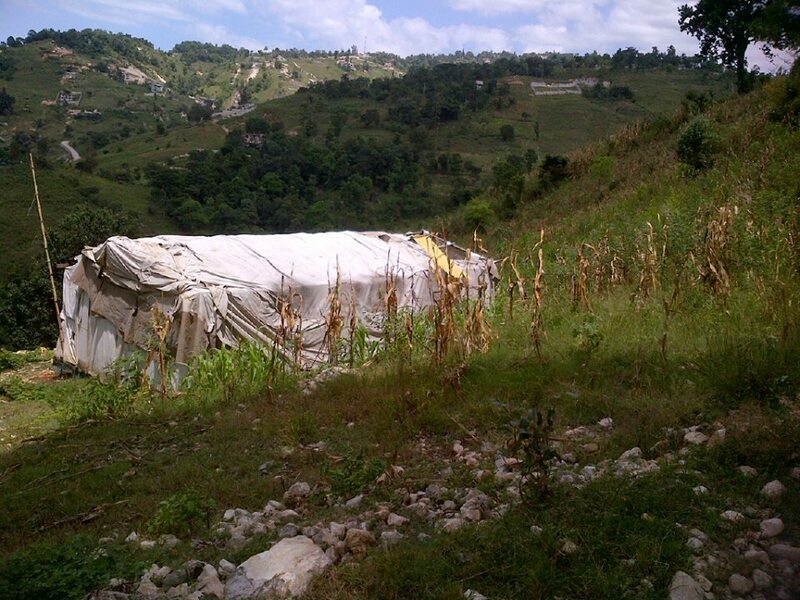 She is adopting two schools in the mountainous suburb of Fessart, above Port au Prince. 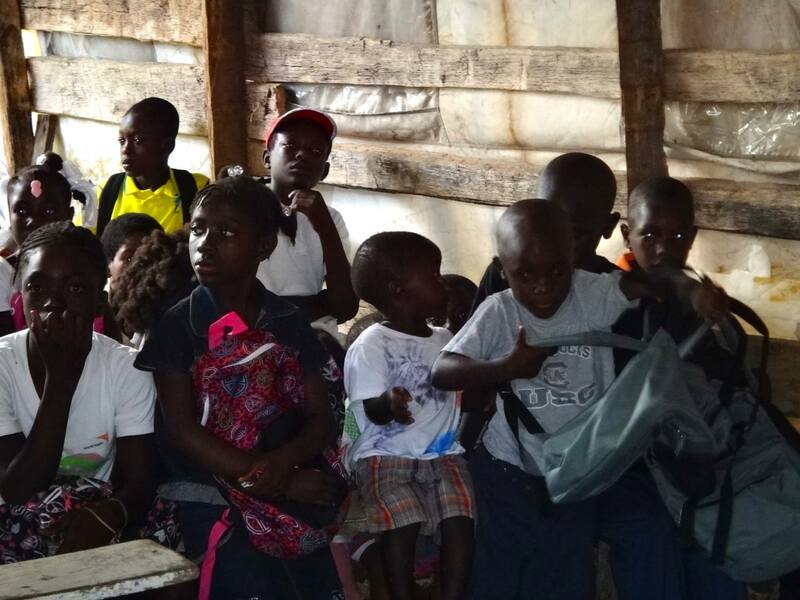 “The area is so poor that the teachers’ main problem is that the children are usually too hungry to concentrate on their learning,” said Hinze. Many schools provide one meal a day for the students and “it is the only meal for many,” she said. 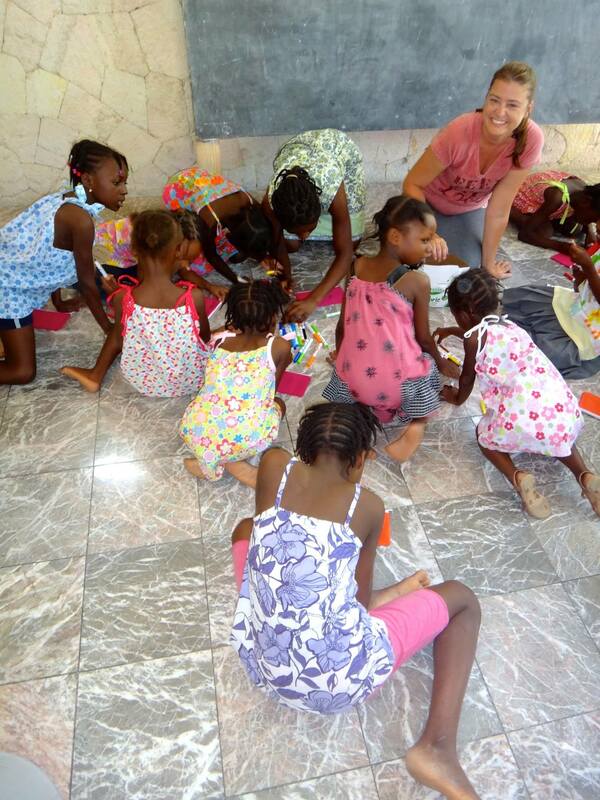 Hinze returned with handmade jewelry by Haitian women. Hinze is selling the bracelets, earrings and a few metal crosses as a fundraising project. Prices range from $8 to $20. The money goes to the Haitian artisans and her project. Hinze also is accepting cash donations at her home, 9767 N. Baylor Drive, Fountain Hills. 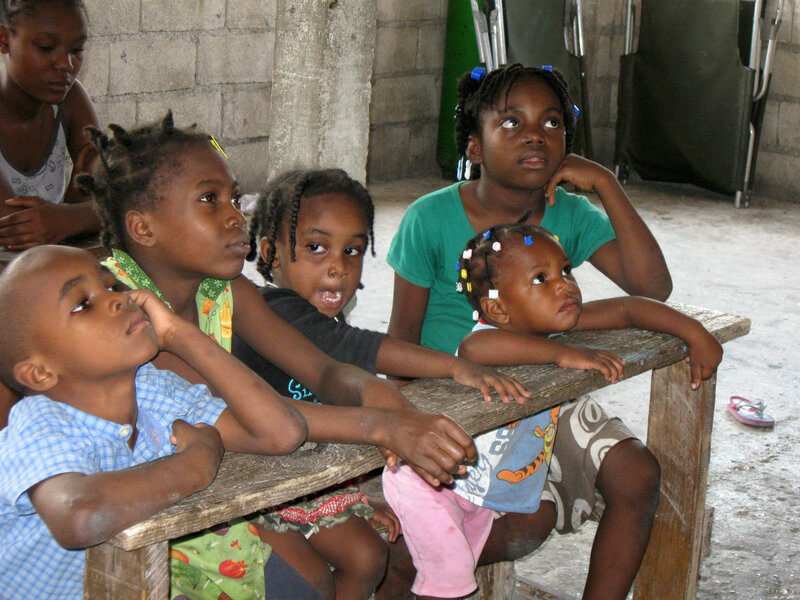 More information also is provided on her website at www.bethehopehaiti.org and Facebook page at bethehopehaiti. Hinze welcomes support from any businesses, churches or organizations willing to have a box for donations in their office or lobbies for school supplies. 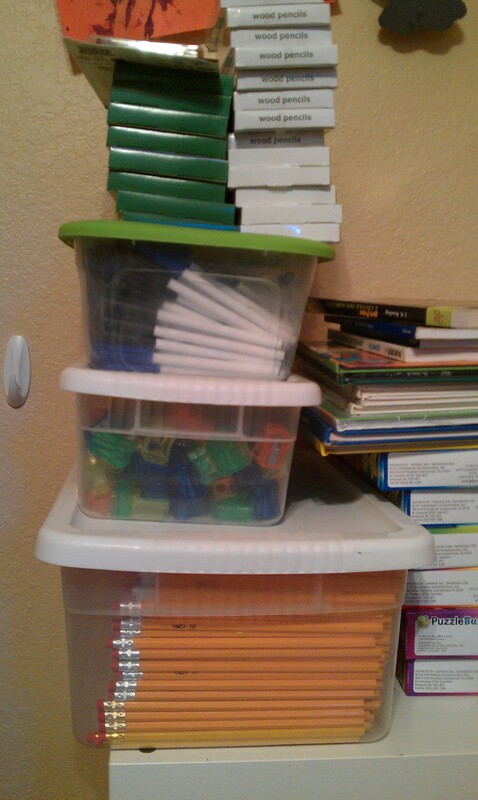 “Timing is perfect right now; stores will have displays soon on school supplies,” said Hinze. Each backpack contains a hand pencil sharpener, a box of 24-count crayons, two 100-page composition notebooks, 12-count No. 2 pencils, a pencil case, eraser, 10-pack ball point pens and a 12-inch ruler. “I’m having a hard time being here knowing that there is so much to be done there and I feel helpless,” she said. Hinze said she tries to partner with individuals and organizations that she trusts. “It’s definitely challenging. 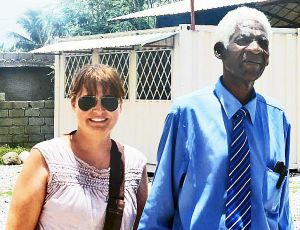 It was not an easy trip,” said Hinze.